Randy E. Kleinman is an Associate at Friedman, Levy, Goldfarb & Green, P.C. Mr. Kleinman specializes in a variety of personal injury matters including police brutality, wrongful arrest, automobile and construction accidents, municipal liability and premises liability. Prior to joining the firm, Mr. Kleinman was an Assistant Corporation Counsel for the New York City Law Department where he served as a Trial Specialist. In this role, Mr. Kleinman tried cases throughout the five boroughs, earning a reputation as a passionate and effective trial lawyer. Mr. Kleinman has represented the City, law enforcement officials and firefighters in cases involving a wide-variety of state and federal law claims including false arrest, false imprisonment, malicious prosecution, assault, battery, excessive force and negligence. Mr. Kleinman also represented the City in numerous high-profile matters including cases involving police shootings, police misconduct and wrongful death allegations; and argued a winning appeal in the Appellate Division First Department. Now, as a plaintiff’s attorney, Mr. Kleinman brings the vast experience he gained representing the City and its police officers to Friedman, Levy, Goldfarb & Green, for the benefit of our clients. Mr. Kleinman received his J.D. from New York Law School, where he graduated with honors and was awarded the Professor Robert R. Rosenthal Award for Excellence in New York Practice. While in law school, Mr. Kleinman was a member of the Moot Court Association, where he competed in appellate competitions throughout the country and won numerous awards for both his writing and oral advocacy skills. Mr. Kleinman was also the President of the American Constitution Society, which promotes and supports progressive reform throughout the country. 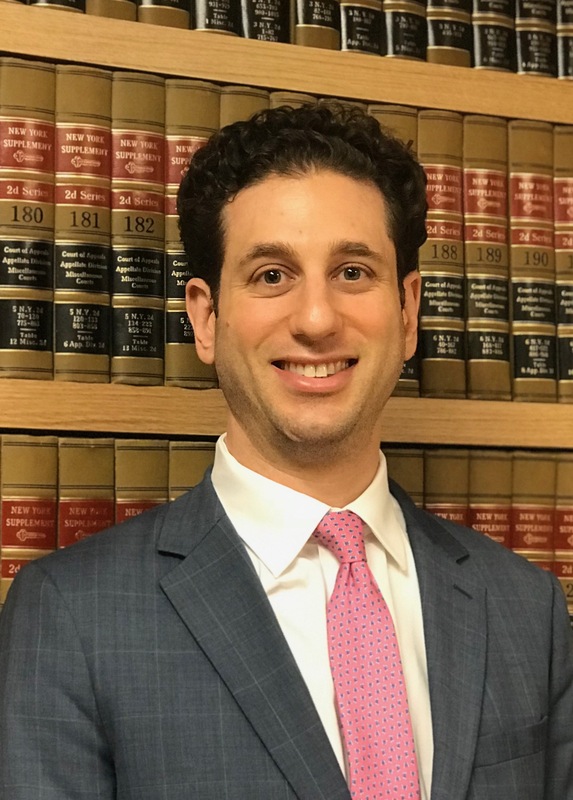 Mr. Kleinman is admitted to the Bars of the States of New York and California, and the United States District Courts for the Southern and Eastern Districts of New York.